The wait for Marty Friedman’s next new record is almost over. 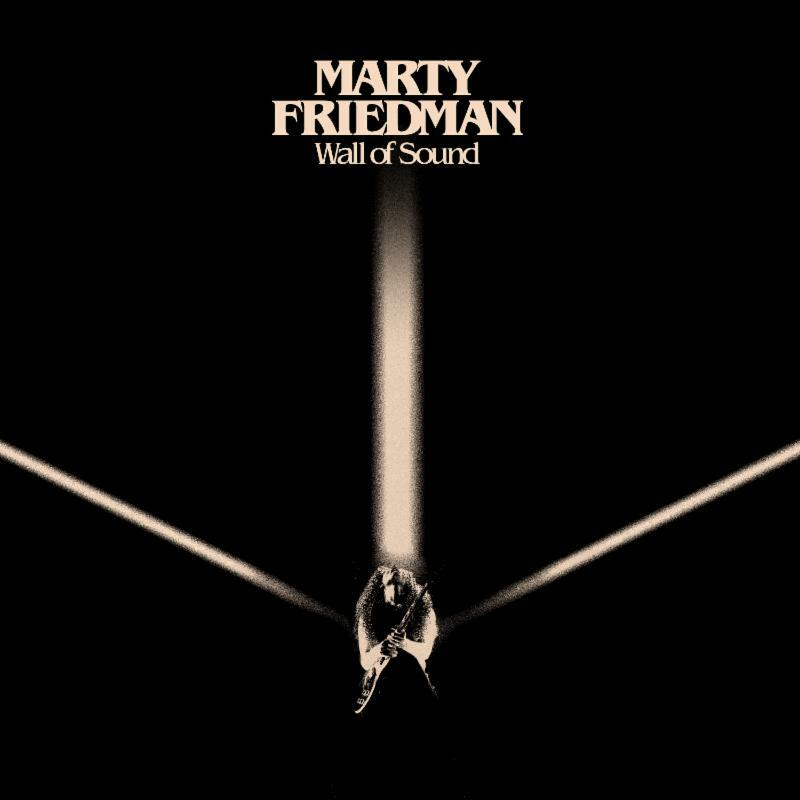 Friedman will release his next full-length studio recording Wall of Sound Friday, August 4 via Prosthetic Records. In anticipation of the record’s release, audiences one of the album’s songs, ‘Self Pollution’ is streaming online now. The song mixes elements of blues, thrash metal and prog-rock for a composition that is certain to hold listeners’ ears. Friedman, who not only wrote the album’s songs but also produced the album, said in a recent interview that composing each song was not easy, but said the time and effort paid off in the end. He added more than a year was spent composing and fine tuning each song. The result was that quick turnaround. Guest appearances featured on Wall of Sound include Black Veil Brides member Jinxx, Shiv Mehra of Deafhaven and Jorgen Munkeby of Shining. Paul Fig (Ghost, Rush, Alice in Chains) engineered the record while Jen Bogren (Lamb of God, Opeth) and legendary Queen producer Mack shared mixing duties. Mack mixed two of the record’s songs, ‘Streetlight’ and ‘For A Friend’ while Bogren mixed the rest of the record’s songs. Japanese bassist Kiyoshi handled bass duties throughout the album while veteran session drummer Gregg Bisonette and up-and-comer Anup Sastry shared time behind the kit for this album. Wall of Sound pre-orders are open now here. The record will be available in five limited edition LP color variants, noted below. The record’s track listing is noted below. This entry was posted in Celebrities, Internet, Music and tagged celebrities, entertainment, facebook, internet, Marty Friedman, music, Phil's Picks, Prosthetic Records, Twitter, Wordpress by philspicks. Bookmark the permalink.